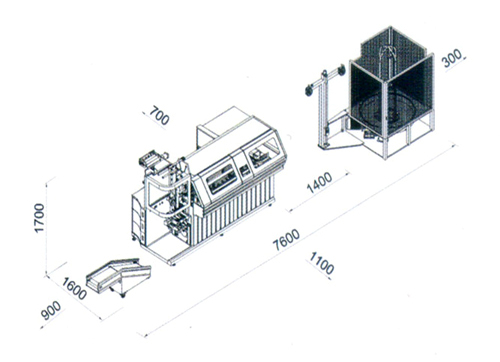 LR-PS-HX machine is the pioneer in this line (protected by the patent technology). 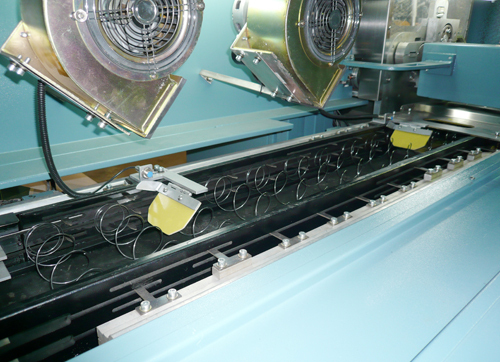 This machine combines the coiler without cam with the flexible control system coming from servo and changes quickly the varieties and the size of the pocket springs in the producing process. 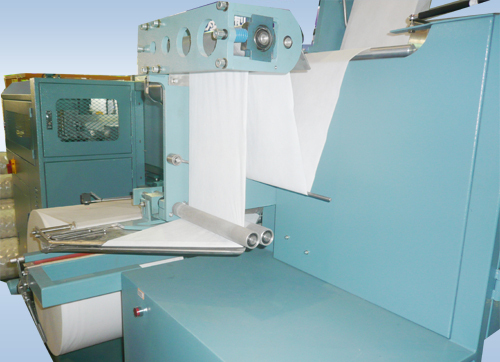 This machine can meet with the customers requirement of the pocket products model in a short term. 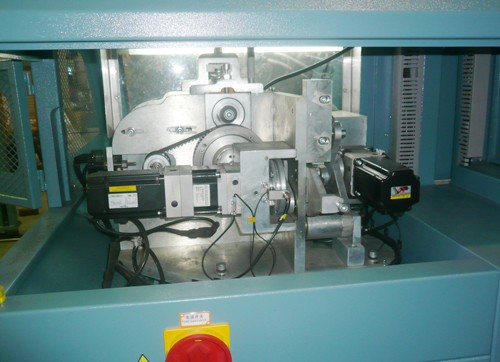 (This machine also can set various products in advance, and change the time to produce the pocket springs less then 5 minutes in the range of spec adjusting.) 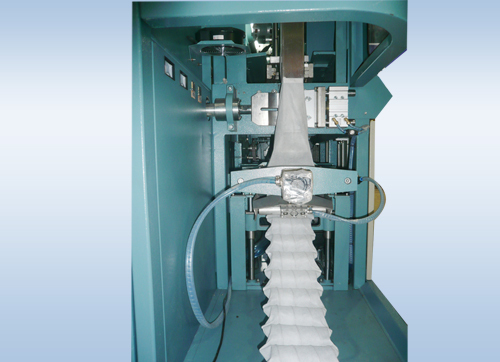 This machine can produce the mixed-style pocket spring strands. It provides the stage and space to the clients for the exploitation of the new products. Just adjust the parameter by the touch screen to make the pocket spring with different height, to achieve the zoned effect of the pocket spring units, also satisfy the demand from the customers. 2. The stable-performance is high. LR-PS-HX is developed on the basic of LR-PS-HF that was feedback the ideas from the users and the long-term experiences of the technicians in our firm. Added to the completely new control pattern,it meet with the clients, Requirement of the high efficiency to produce. 3. 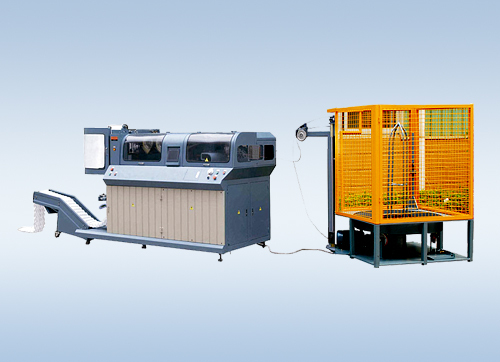 With the excellent design of the machine and the patent technology, it is more convenient and economical to use, maintenance and take care of this machine. 4. 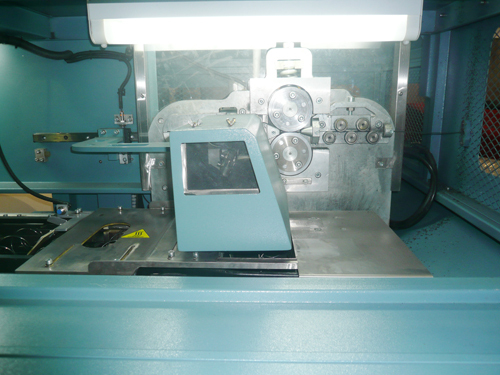 This machine is up to the safe standard of CE. 5. Unique patented computerized coiler (computerized numerical control system/CNC)Coiler is full-controlled by servo and without cam/Easy and quick to change the dimension of spring by only changing the parameters in the computer. 6. Saves up to 15 types of springs in different dimensions/produces different springs one by one continuously. 7. Cutter to divide the pocket springs into rows automatically(except bottom seal). 8. Intelligent sensors can check malfunctions all the time /Display corresponding alarm on the HIM duly /one operator can run several sets of LR-PS-HX alone. 9. Unique patented spring conveyor are controlled by servo/Accurate motions. 10. Very operator user-friendly non-woven joint device/save time and non-woven. 11. Ultrasonic horn is made of Titanium/Durable and Firm. 12. Low and easy maintenance.